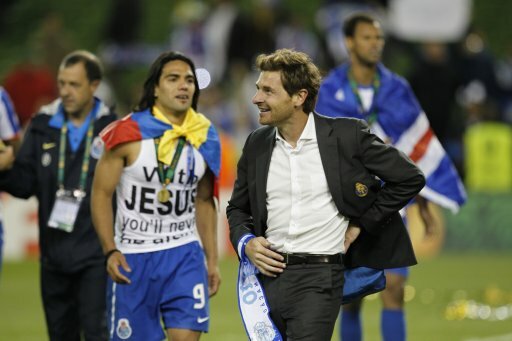 Andre Villas-Boas Poised For Chelsea Hotseat, Falcao Set To Follow? Word on Pies Street (and on ‘National Newspaper Boulevard’) is that Chelsea could have a new manager in place by the end of this week and that that man will be none other than Porto’s international bright young thing – Andre Villas-Boas. It is understood that Chelsea are perfectly willing to trigger the €15 million release clause in Villa-Boas’ contract and spirit him back to Stamford Bridge (he worked as a coach under Mourinho), with an announcement due – if our slightly dubious source is to believed – ‘before the weekend’, so you can probably expect to hear nothing until next week at the earliest. So that’s something to bear in mind as well, though it’s not like the Colombian striker will just be showing up at the Bridge after stowing away in his boss’s suitcase – there’s the small matter of the €30-odd million fee to be circumnavigated too. Any road up, what do the Chelsea fans out there make of Villas-Boas’ imminent appointment? Is he an acceptable alternative to Uncle Guus? And what about that Falcao lad, eh? Not that Chelsea actually need him, but he sure can kick and header the ball into the goal well can’t he? Guus as overseer, Villas as Floor Coach. Would be an immense dream. A playmaker + a winger and you’ll have the prem title in the bag. As much as you now can anyway. The thing is that Both Guus and Villas could get something out of the malouda/drogba/anelka trio for atleast a season again. What the hell are they going to do with Torres if Falcao goes to Chelsea? Get a refund? Drogba may be shown the side door but he’d be a better target man than the Spanish ladyboy.